We’re excited to share the news about our new collaboration with Edmiston Jones GBB from Australia. The collaboration will join perspectives from two different parts of the world. Danish democratic design tradition mixed with the Australian approach that is about inventiveness and resourcefulness to create solutions– which is in the Australians’ DNA. We’ve visited the country for many times to make new connections, share our knowledge, and contribute to the continued development of citizen involvement practices down under. We learned that there is a real hunger for a shift into user-driven, participatory design in this part of the world. Copenhagen is at the forefront when it comes to this type of thinking. On the other hand, Australia is brimming with diverse and multicultural cities. EJgbb’s Mark Jones, and arki-lab’s Rasmus Frisk, both founding directors of their respective firms, have had paths cross over a number of years, attending workshops and sharing conversations. The common ground for both architectural practices is an absolute commitment to the end user in the design of the built environment. arki_lab, based in the city of Copenhagen, has explored solutions at an urban scale while regionally based. EJgbb honed their skills designing buildings through a collaborative process. The relationship was galvanised when Mark visited Copenhagen in late 2016 and was greeted by Danish hospitality. As Rasmus shared the subtleties of his beloved city, Mark caught a glimpse of the lessons that could be learned through an international exchange. The advantages of the complementary perspectives and skills of the two firms presented a game-changing opportunity not to be missed. An enthusiastic dialogue ensued resulting in a Memorandum of Understanding and a plan to actively pursue projects that would benefit from this new collaboration. As well as the international aspect we are companies with a multidisciplinary approach to architecture and urban planning. This holistic approach assists in solving the complex issues in cities and towns – wherever people live. arki_lab tackle complex issues in an urban context with a special focus on people. Edmiston Jones GBB contribute a regional perspective that widens the perspective of a bigger picture. This balance reinforces the collaboration’s ambitions of solving planning and design challenges at an international level. 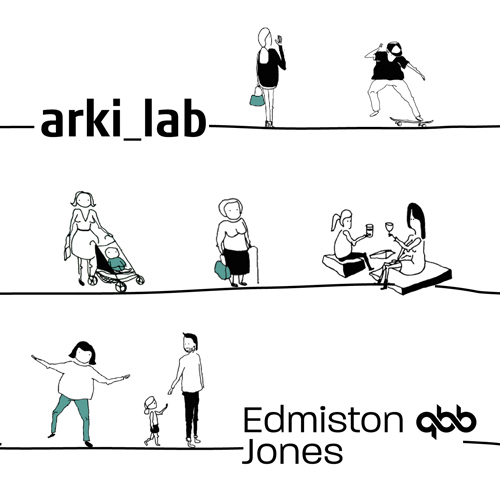 The regional principles and experiences that Edmiston Jones GBB have imbued in their business enhances the arki_lab toolkit and adds a track record in execution, taking ideas from concept to conclusion.